The Lurcher originated in Ireland and other parts of Great Britain. It is a descendant of a dog breed known as the Norfolk Lurcher. It is a unique breed, wherein its appearance greatly varies depending on which sighthound and pastoral (or terrier) breed are mixed. It often resembles either the Greyhound or the Saluki. Regardless, the result is to create a skilled hunting dog as well as an excellent companion dog. Since it's a multi-purpose dog, the Lurcher is highly adaptable. Are you planning to buy a Lurcher dog? Here is a brief background of this one-of-a-kind dog breed. Lurchers were bred to create a multi-purpose with excellent hunting skills, at the same time have the intelligence and loyalty of a companion dog, which most often is found on pastoral dog breeds. 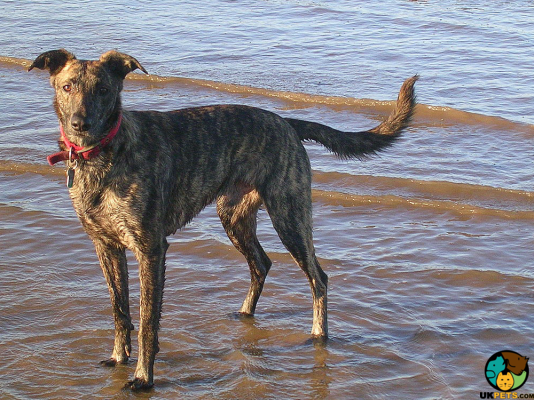 It is believed that Lurchers was brought to Europe by travelling Romany Gypsies in the 1600's. This dog was kept to hunt rabbits, hares, birds, and deer. Among the many crosses that result into the Lurcher is crossing Border Collies, Bedlington Terriers, Bull Terriers and sighthounds such as Greyhounds, Whippets, Scottish Deerhounds, Irish Wolfhounds and Salukis. 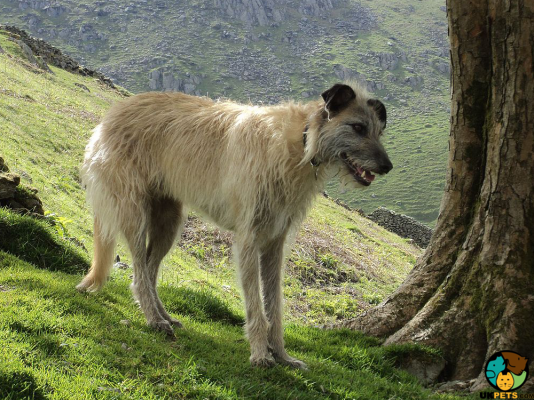 Since Lurchers are athletic and graceful dogs, it wasn't long before the breed became widely popular as a travelling companion in the UK and Ireland. In 1948, Brian Vesey-Fitzgerald established the breed standard. However, major kennel clubs have yet recognised this dog breed, including The Kennel Club in the UK. Regardless, the Lurcher remains a popular choice. Since the Lurcher comes in different sizes depending on its parentage, there is no official standard for this breed other than what Brian Vesey-Fitzgerald wrote in 1984, which states that "a true Lurcher should not exceed 24 inches (60 centimetres) in height and should weigh about 50 pounds (22 kilograms). The coat should be short, and harsh, with long, thin, tapering tail. Head of Greyhound type with small pricked ears. Colours grizzle, black or black and tan." Since it is not an official standard for the Lurcher, it is rarely utilised as a basis for breeding. 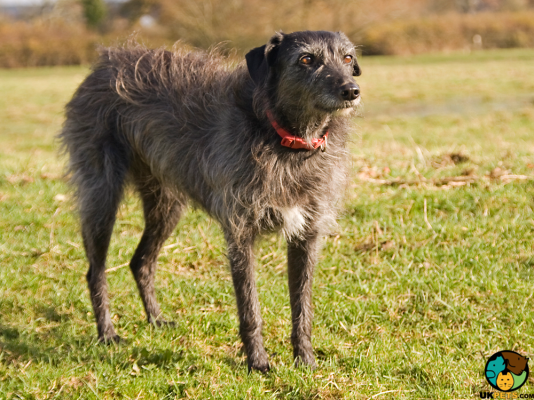 Some Lurchers with the Irish Wolfhound in the bloodline are large, while those with the Whippet bloodline are significantly smaller. What they have in common is their elegant and athletic appearance, which is the goal of breeding the Lurcher. Smooth-coated or rough-coated, Lurchers are relatively low maintenance when it comes to grooming. Brushing its coat once or twice weekly will suffice to make sure it is in top condition, free from dead hair and matts. However, they shed all year round and more during spring and autumn, which means they will require frequent brushing. Aside from making sure its coat is healthy and clean, other grooming aspects must not be overlooked. It's also essential to check and clean the dog's ears regularly too avoid wax build-up and becoming a host of bacteria that often leads to infection. The same goes for the dog's teeth. Brush its teeth preferably daily, if not, at least a couple times a week. Also, avoid painful and uncomfortable overgrown nails that often get tangled on fabric by trimming on a regular basis. The temperament of Lurchers will significantly depend on its parentage but a few things are surely accurate, such as being a good-natured, obedient, well-mannered, and loyal dog. Since it is a cross between a sighthound and a non-sighthound, it is highly possible that it will exhibit behaviour particularly typical to a hound dog. It would be fair to define Lurchers as endearing, playful and highly intelligent dogs, which are affectionate and sensitive at the same time. Lurchers are bred for their intelligence, stamina and speed. When they are well trained, they excel in canine sports such as agility, obedience, and flyball trials. Although they are easy to train, they are not ideal for first-time owners since they require a more challenging and intensive training regimen specific to their needs. Bred as stealthy hunters with a friendly nature, the Lurcher is not a natural watchdog but can be trained to let the owner know when someone is around. When it comes to children, the Lurcher is more suitable for households where there are older kids who know how to behave around dogs with a boisterous nature. Regardless whether the interaction is with older or younger children, they must still be supervised. Also, Lurchers are not ideal for families with smaller animals or pets as they have a high prey drive. Although when socialised early, they can coexist with cats especially when they grow up together. A typical serving for an adult Lurcher is 2 to 2.5 cups of high-quality dry dog food per day. Providing your dog with a balanced diet with the proper amount is vital to keep it healthy. The type and amount of food will vary depending on its age, size, activity level, build and metabolism. To accurately judge how much to feed a dog, consult a trusted veterinarian. Typical daily calorie needs of adult Lurcher weighing 60 pounds. Feed the Lurcher commercial dog food with balanced nutrition where animal protein is a top ingredient. However, the most suitable diet for a Lurcher is a raw diet with lots of bones. Also, since it is an active dog, make sure that you buy a commercial dog that is formulated for active dogs. With a lifespan of 12 to 15 years, the Lurcher is a generally healthy dog breed but they are not immune to health disorders. 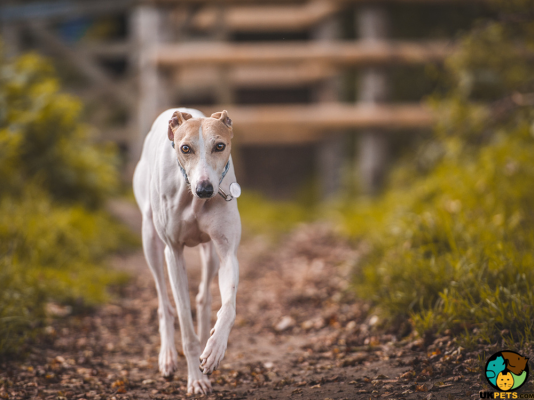 Health problems affecting the Lurcher may include Gastric Dilatation Volvulus, Osteosarcoma, Hypothyroidism, heart problems and some eye disorders. Make sure you acquaint yourself with the disorders so you can work with your veterinarian to determine preventive measures. Typically bred as a hunting dog, the Lurcher is a highly energetic dog that requires 1 to 2 hours of exercise daily. Take your dog for a long daily walk, especially if you live in a home without a yard. It is an exceptional runner and will like nothing more than to give chase to whatever is running. Indulging in its favourite activity is fun, but make sure it's done an enclosed environment where there are secured fences to keep it from escaping. If you plan to buy a Lurcher puppy, prepare to spend anything from £400 to £800, especially coming from a reputable breeder. Next is to set aside a budget for affordable pet insurance. Pet insurance premium coverage largely depends on your location, age of the dog and its health. For a Lurcher, insurance will cost you around £20 to £50 a month. How much dog food will cost you vary depending on the age and size of your Lurcher since it will depend on its parentage but a fair estimate is around £30 to £40 a month. Veterinary care is also a major cost, which will not go lower than £900 annually. To cover necessary expenses in raising a Lurcher will set you back roughly around £60 to £90 a month. 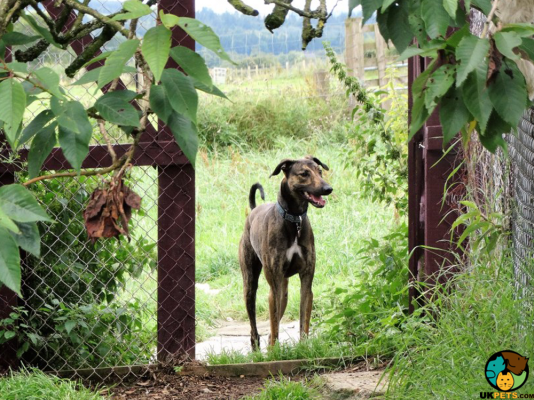 Is a Lurcher Right for You? The Lurcher is a good-natured, obedient, well-mannered, and loyal dog. It is an endearing, playful and wonderful companion dog. Lurchers excel in canine sports such as agility, obedience, and flyball trials. They are relatively low maintenance when it comes to grooming. Being a hunting dog, the Lurcher has a high prey drive and is quick to chase small animals.